What is a Quality Assurance Associate & what do they do? Home » Pharma Blog » What is a Quality Assurance Specialist? What is a Quality Assurance Specialist? A Quality Assurance Specialist checks the implementation of the quality system, conducts quality assurance audits and monitors and records results from processes and procedures within manufacturing industries. They continually compared results to predetermined expected ranges and take corrective measures if any deviation is found. These quality checks ensure the ongoing reliability of the manufacturing process. Let’s take a closer look at the details of quality assurance and the role of a Quality Assurance Specialist. What is Quality Assurance and what is a Quality Assurance Specialist? Quality Assurance is part of the manufacturing quality system. It is process oriented and focuses on eliminating process variation by creating, revising and strictly implementing a set of tightly and precisely defined process/procedures/quality standards that when exactly followed, ensure the final quality of the product. Quality Assurance is preventative by nature. It is important to note that Quality Assurance is operating at the level of manufacturing processes and procedures. While the aim is to ultimately maintain the quality of the finished product, Quality Assurance is not concerned with measurement or inspection of that finished product – that is the role of Quality Control. 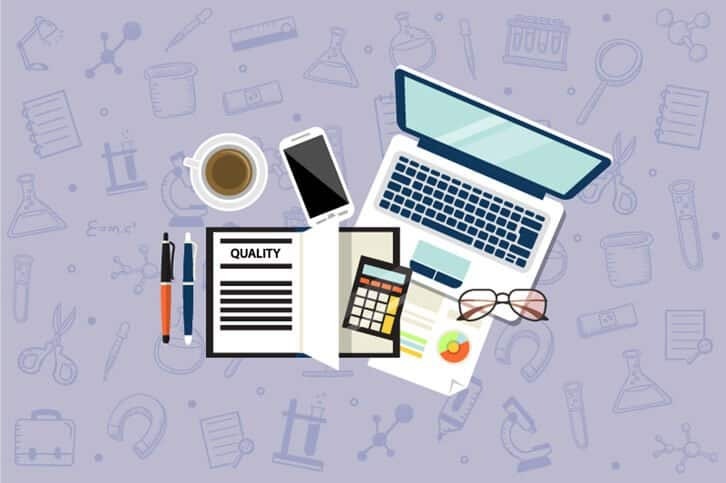 Instead, Quality Assurance focuses on areas such as inspection of raw materials, monitoring and inspection of the production processes, documenting procedures and implementation of production measures. The ultimate aim of Quality Assurance is to implement standard processes that allow a repeatable result within the manufacturing process and produce a finished product that meets all industry standards. What Does a Quality Assurance Specialist Do? Ensuring auditing and manufacturing documentation is kept up to date. Have a look at this short video from the About Bioscience website, produced by the North Carolina Association for Biomedical Research (NCABR). It gives a great outline of a ‘day in the life’ of a Quality Assurance Specialist. The right basic skill set and personal qualities are more important than a certain level of education in Quality Assurance Specialists. Many companies will provide on-the-job training to candidates showing the right traits and skills. High school or secondary school level education along with industry knowledge and experience can be sufficient for candidates possessing the key attributes outlined below. A science/engineering BSc degree without industry experience can be an alternative route. If you already work as a quality assurance technician and would like to retrain to perform the same or similar role within the pharmaceutical or medical device industry, check out our 30-week Certificate in BioPharmaChem conversion program. Check out our salary guide for Quality Assurance Specialist salary information local to you. As with all resumes, it’s extremely important that you tailor your Quality Assurance Specialist resume to reflect the language used within the job advert. Where you have relevant experience or skills, use the words and phrases that the employer has used to describe them. Do not assume that someone will read similar wording and know what you mean. For more help with your resume, check out these templates and this list of 30 tips to improve your resume. For more information on currently available Quality Assurance Specialist roles, head to our jobs boards and select Quality in the “Jobs by Category” menu. We currently have jobs boards for Ireland, the UK, and Philadelphia, USA.